Nanny cams are nothing new. For years, homeowners have relied on WiFi-enabled security cameras to keep tabs on their children and their homes while they are away. Samsung Techwin takes it up a notch with its latest model. 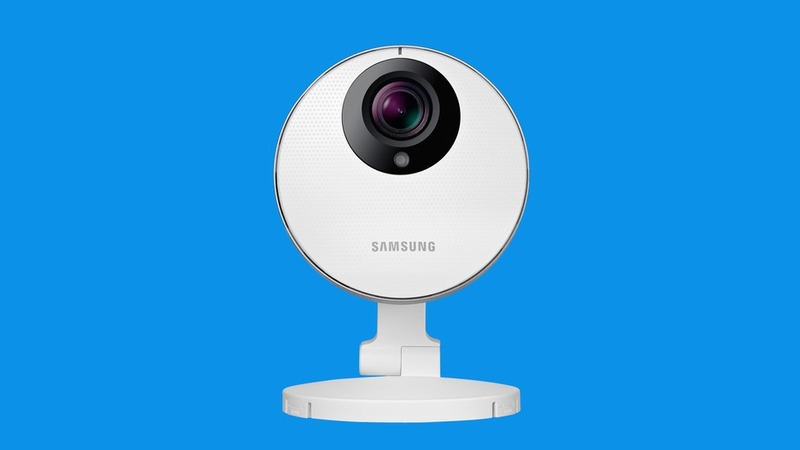 The Samsung SmartCam HD Pro lets you view clips in high-def glory, and also allows you to remotely monitor your home, children’s bedroom, or any area you want to protect via desktop, Android, or iOS device. The model sports a 1/2.8-inch CMOS image sensor, larger than similar connected cameras in the market, as well as a 128-degree ultra-wide lens. This allows you to see things with intricate detail, even in dark lighting. It also features a wide dynamic range (WDR), cutting down motion blur while producing clearer images, as well as Samsung Light Enhancer (SLE) technology that spots movement in low-light conditions. The camera turns itself on even the smallest environment changes, while it is smart enough to tell a difference between a falling leaf and startling noises like breaking glass. The Samsung SmartCam HD Pro also sends real-time notifications to your mobile devices in case the camera suspects something is amiss. It records footages both locally and remotely, enabling you to set up a way to view videos remotely through mobile devices or later through a private YouTube account. The company promises that its streaming data would only consume 30% of what similar cameras for network bandwidth. It means that the camera can perform video transfers even with limited connectivity. The Samsung SmartCam HD Pro is expected to hit retail in December, costing $179.